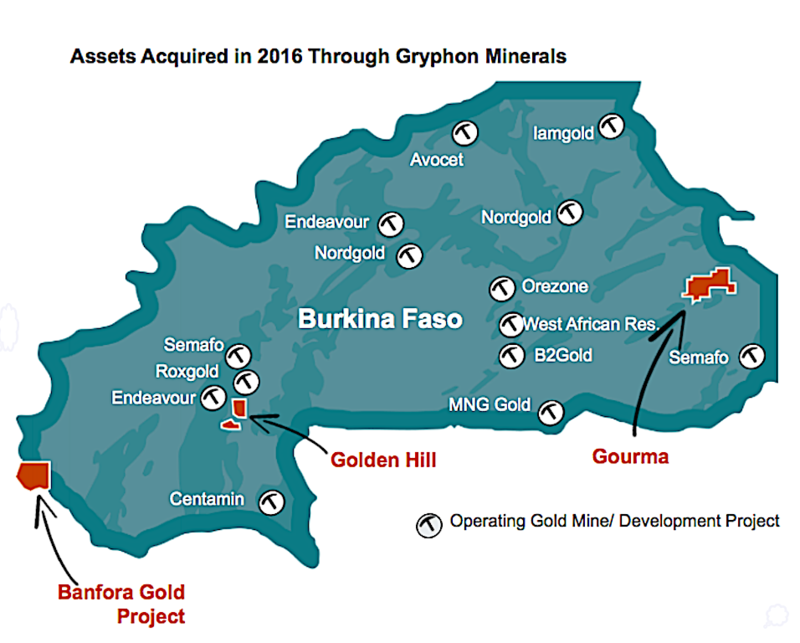 Africa-focused Teranga Gold (TSX, ASX:TGZ) said Thursday its Banfora gold project in Burkina Faso, which would become its second West African gold mine, has the potential to boost the company’s annual output by 50% to between 300,000 and 350,000 ounces. President and chief executive officer Richard Young said Banfora’s feasibility study shows initial gold reserves of 1.2 million ounces, and what he calls “solid project economics” with a 15% internal rate of return at $1,250-per-ounce gold. “Development of the Banfora project is an important step towards attaining our goal of becoming the next multi-asset, mid-tier gold producer in West Africa,” Young said in the statement. The mine will also diversify the company’s production base beyond Senegal, where it already operates Sabodala, the country’s only commercial gold mine, located near the Mali border. Teranga picked up the permitted, open-pit Banfora gold project in October last year, in an all-share takeover of Australian junior Gryphon Minerals. So far, the move seems to have been in the right direction. The company says it even expects improvement in the project economics following completion of an infill drill program aimed at converting inferred resources to reserves. That scheme is estimated to be completed later this year, with a reserve update expected in the first half of 2018, Teranga says.